We are excited to announce that this year Powell’s Chapel will be an official Operation Christmas Child shoebox drop-off location. During National Collection Week (November 14 -21) donors, churches and community groups will be able to drop-off their boxes at the church. This is an exciting opportunity and it will take many of us working together to make this a successful, missional drop-off location. Here are a few of the ways that you can volunteer that week. Greeters - Volunteers to great donors as the come in and help them unload the shoeboxes from their vehicle. Drop-off logs - Volunteers to help with the paperwork that each donor fills out with the number of boxes they brought. Prayer - Volunteers to pray with donors after they have dropped off their boxes. Hospitality – Volunteers to organize cookies/brownies, coffee or hot chocolate that week. Carton Packers – Volunteers to help pack the shoeboxes that are dropped off into cartons. Logistics – Volunteers who are able to help transport all of the boxes collected at our church to the Collection Center in Mt. Juliet on Monday, November 21st. We will need some enclosed trailers for this. Remember serving is a privilege. God allows us to use our gifts for His glory. It is an honor to be a part of what the Lord is doing through OCC and we should treat the privilege in a worthy manner by doing our ministry as unto the Lord. Please contact Michelle Hartley if you have any questions or (615) 663-2137. 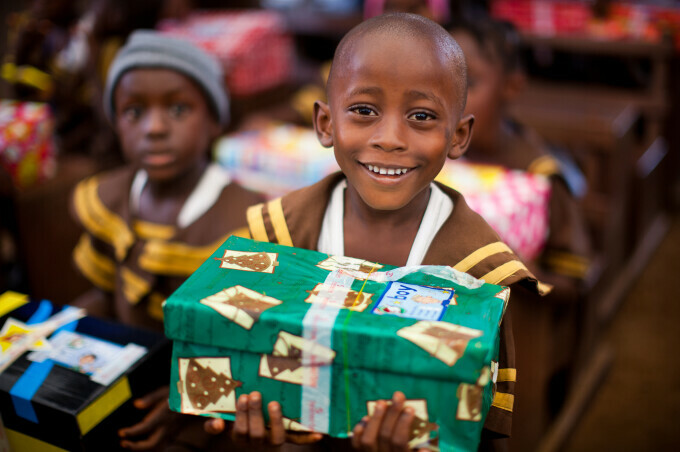 PCBC is proud to again take part in Operation Christmas Child this year. We would like to invite everyone to join us as we begin collecting items for our Operation Christmas Child Shoeboxes. Each week we will bring items to fill the boxes. There will be a container across from the church office for items to go in. Every few weeks, we will collect different items, so watch the bulletin and website for specific items. See Michelle Hartley if you have questions. Powell’s Chapel Baptist Church exists to glorify God by knowing Him and making Him known.